A number of critics have been asking this question after the recent movie, The Amazing Spider-Man. I absolutely appreciate how much different this origin story was from the last. But there were still the tedious elements they felt they had to addressed. I’m going to skip the long debate and reach for the nuclear device. Episodes I thru III of the Star Wars trilogy. It’s true. Pretty much the first three movies revolve around the origin of the Empire (which was interesting) and the origin of Darth Vader. And while the third movie was a bit redemptive, it was still not a pleasing experience. Origin stories often followed a similar pattern: A tragic incident, usually involving one’s parents, “drives the hero to good”. It’s been done with Spider-Man, Daredevil, a bit of it was touched upon in Hulk. As much as I love his work, it was reused in Christopher Nolan’s Batman Begins. It’s also kind of why the origin of Iron Man was so mentionable different than most. Forget the cliched “reason for being a super hero”, Stark had his reason when someone stuck a gun in his face and put shrapnel in his heart. When one becomes a victim of their own carelessness, a dawning sense of responsibility can sometimes take over. Both Iron Man movies were more about Stark cleaning up the results, both indirect and not, of his actions. Why am I bringing this up? 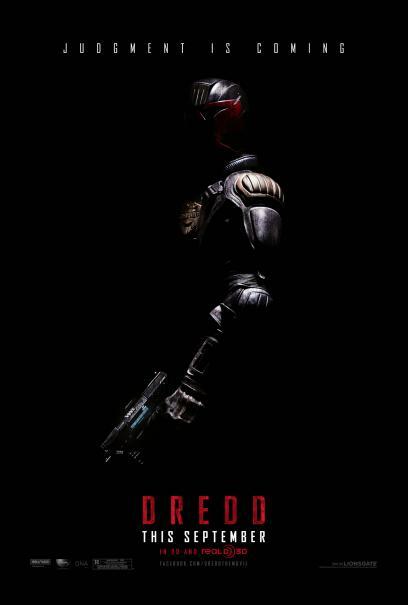 Probably because of the upcoming Dredd movie, a reboot of the terrible Judge Dredd from 1995. According to many critics who have already viewed it, the movie is not an origin story. And so far, their reviews have been pretty good. Another example to chew on is The Dark Knight. Not only did we know nothing of the Joker’s origin, but we were likely fed lies. Chances are, you’ll forget his name in no time. Now suppose you see the guy do something more interesting before he introduces himself. Say, he stops a mugger from stealing a lady’s purse. Or he does something impossible, like web slinging his way across the city or turning into a giant green monsters. All of a sudden, the whole question of “Who is this guy?” is way more interesting. Trust me. Strike up a conversation with a stranger, but don’t tell them your name. If you hit it off, then they’ll be way more interested in knowing who you are. That’s why there’s a strange, lasting appeal about Judge Dredd. In the comics, he never takes his helmet off, maintaining a mystique about him. They broke that rule in 1995 with Stallone and that didn’t work well for them. But my understanding is that they DON’T break that rule with this upcoming movie. Imagine that! A movie where you never see the hero’s face. Ever. I have to give Karl Urban kudos for his willingness to stay true to the character. I’d also imagine that, if Peter Jackson ever got the green light for the Halo movie, there would have been Hollywood executives pressuring him to have the Master Chief remove his helmet. And after decades of story writing, comics and development, I’d say time and history are on our side. Maybe it’s time to challenge the status quo a bit. Maybe they don’t know what the hell they’re talking about. I’ll be seeing The Dark Knight Rises tomorrow… looking incredibly forward to it.